The Indian Premier League has seen 11 editions so far. The prestigious league will enter its 12th season in 2019. But like every year’s tournament, the player auction grabs the limelight before the event. The Board of Control for Cricket in India (BCCI) has announced the date and venue for the IPL 2019 Auction. It will be held on December 18 in the Pink City Jaipur. However, there is no official announcement on the number of players that will be auctioned. But reports suggest that 70 players from around the cricketing fraternity will go under the hammer. The list of final players is expected to be released soon. 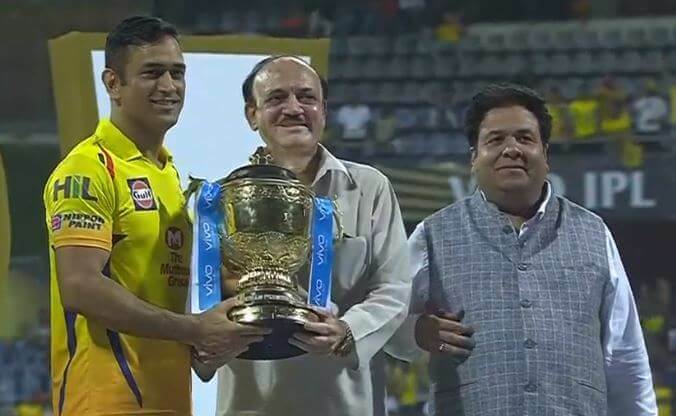 As per reports, BCCI is attempting to gain prime-time viewing for the IPL 2019 Auction. Hence, it will begin at 3 PM and go on until 9:30 PM. December 18 is a weekday and so, it may not attract viewers. Also, the India tour of Australia will be on at that time as the last day of the Perth Test falls on the same date. However, there is no official confirmation from BCCI about the timings. Earlier, all the 8 IPL teams had submitted the list of retained and released players before the deadline of November 15. Some of the big names like Mitchell Starc, Yuvraj Singh, Gautam Gambhir were released from their respective squads. The teams would now be hoping to rope in players as the replacements. The squads like Mumbai Indians and Chennai Super Kings have retained the core group of players. On the other hand, teams like Kings XI Punjab, Rajasthan Royals, Delhi Daredevils have released a handful of players.